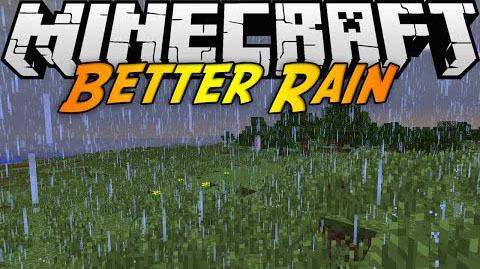 Better Rain Mod will significantly lower the volume of the rain, and the rain has a different sound too. Instead of sounding like a hurricane, the rain will now have a calm, relaxing sound. 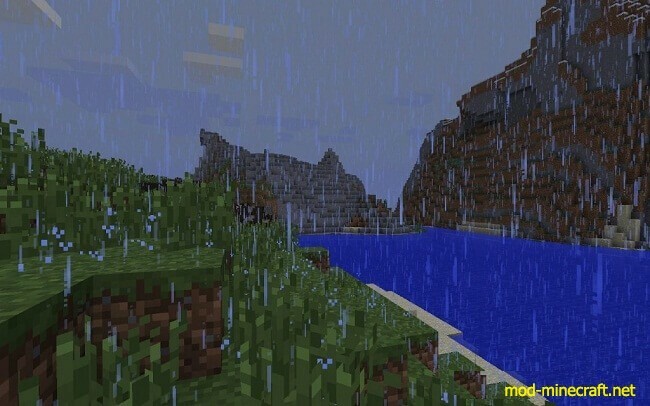 This mod will also fix the texture of the rain. It’ll now be brighter and, depending on the strength of the rain, it’ll also not be so thick. That means fewer drops of water. The rain will come in different strengths. The strength of the rain is random. The textures of the rain will change accordingly to the strength of the rain. Let’s say the weakest rain is zero, and the highest rain is a hundred. If the rain is zero, there will be no sound and no texture. If the strength is a hundred, the rain will be very thick, and the sound is at the loudest. Even though a hundred gives the most amount of sound, it will still be silent enough for you to enjoy your game without having to yell to your friends or turn down the volume. 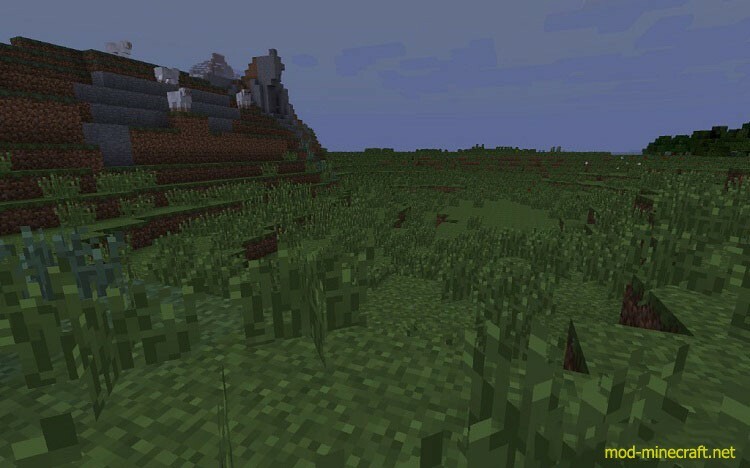 This is a very small mod, but will make your game much more relaxing. This mod will not change the gameplay in any way. Here you can see how much it can rain. Gives more sound than the previous strengths and will also drop more particles. This is the lowest amount of rain. Very difficult to see in a picture, but small drops can be seen. Gives nothing, or very little sound. Slightly more rain, still very silent and gives little ground particles.